But there is perhaps no greater contributor to the rise of drug-resistant staphs than the meat industry, where animals are preemptively treated with a range of antibiotics. The April 15 study in the medical journal "Clinical Infectious Diseases" was conducted by Translational Genomics Research Institute. Among the staph-contaminated samples, more than half were resistant to at least three types of antibiotics. 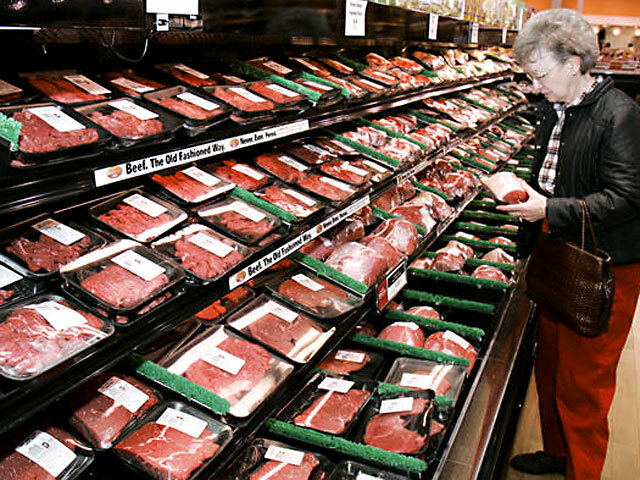 Experts note that staph bacteria can be killed by thoroughly cooking meat, but improper handling and cross-contamination -- such as by reusing a cutting board or knife that has come in contact with the raw meat -- can still lead to infections.